As tomorrow is Black Friday, I thought I’d repeat what I did two years ago: ignore the high street retailers and department stores, and concentrate on indie sellers instead. I’m afraid I do get somewhat sick of the buy, buy, buy culture that surrounds Black Friday (anyone else wanting to scream GO AWAY at their Inbox at the moment?!) – especially when discounts are available all year round from most retailers. I mentioned on Instagram the other day that although I wouldn’t avoid a Christmas gift guide altogether, I’d feature independent retailers instead. What could be nicer than finding totally unique, unusual gifts that the recipient hasn’t seen anywhere before? There are SO many fantastic places to buy gifts from these days that I often think it’s a shame to go straight to the department stores when the internet gives us access to every artist, crafter, female entrepreneur and local independent store that’s out there. So this is my list of 9 indie sellers I strongly urge you to check out. Many of them I’ve either shopped at or have been lucky enough to have been gifted something from their store [this post isn’t sponsored by anyone], so they all come highly recommend by me. 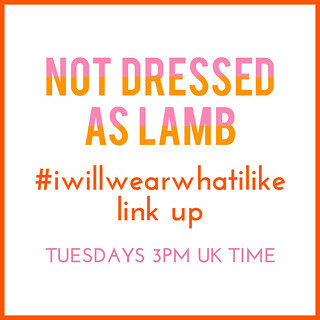 And if I haven’t yet shopped there I intend to. Some are offering a discount, most are not: please don’t let that put you off. Most artists selling their pieces online already have very tight margins, so you’re effectively getting a very low price already. I think it’s important to support independent retailers (even more so when they are female entrepreneurs!) – I hope you feel the same way too. It would also be great to feature what you bought from them on social media (a tweet or an Instagram post or story tagging them in will ALWAYS be appreciated), and if you buy something as a result of my recommendations please do let me know. WHAT INDIE SELLERS DO YOU KNOW THAT YOU WANT TO SHARE WITH US? ANY YOU SEE HERE THAT YOU’RE GOING TO BUY FROM? COMMENT BELOW! Disclosure: This post contains some affiliate links which means if you click through and buy I may receive a small commission at no cost to you (click here for my full disclosure). I have not been sponsored or commissioned to write this post by any of the retailers featured. WHAT THEY SELL: Pretty much anything and everything, from homewares to furniture, from clothing to jewellery, from plant pots to fragrances. The point of the site is to sell goods from independent sellers and artists, so it’s the perfect retailer to start this post with! As a quote on their website says, “It’s the web equivalent of those cool, curated shops you find off the beaten track.” I’ve bought several things myself from Trouva and it’s one website I can’t stay away from. You’ll find no end of unusual, unique gifts here for everyone (and probably quite a few things for yourself too). PRICES START AT: £15.00 (of those items pictured) – ships internationally. Free UK delivery over £60. WHAT THEY SELL: Bold, showstopping acrylic earrings that are light as a feather to wear. 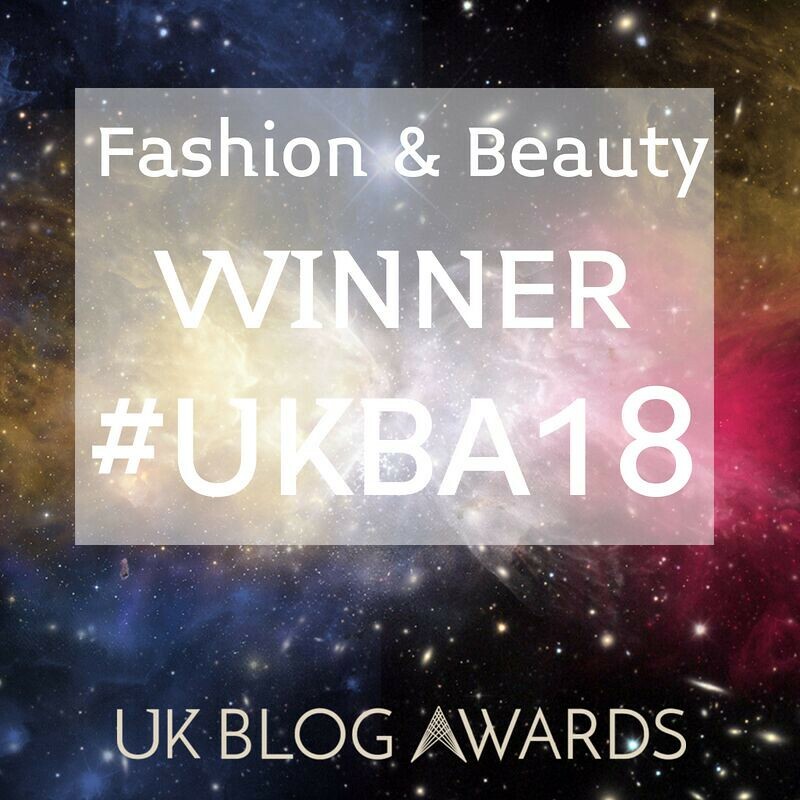 I wore a pair to the UK Blog Awards and I absolutely loved them – I’ll be wearing another pair to a black tie event in a week’s time. Clip-on earrings are also available (they sell necklaces too). 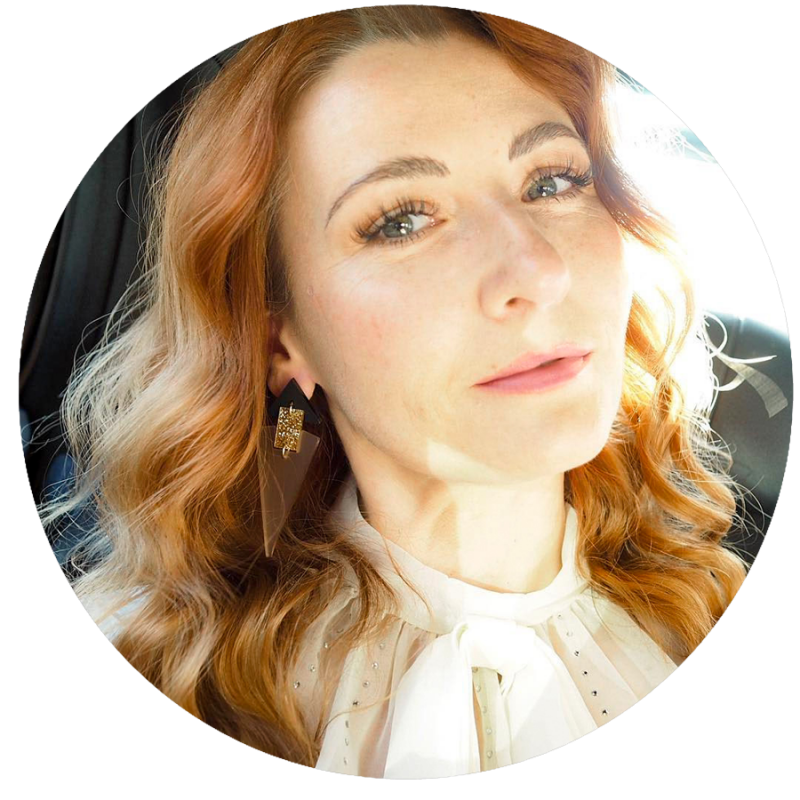 The earrings all have either sterling silver or 22 carat gold vermeil fastenings so there are no worries about nasty allergic reactions. The only problem is trying to decide which pair(s) to get. PRICES START AT: £45.00 (of those items pictured) – ships internationally. Free UK delivery over £75. 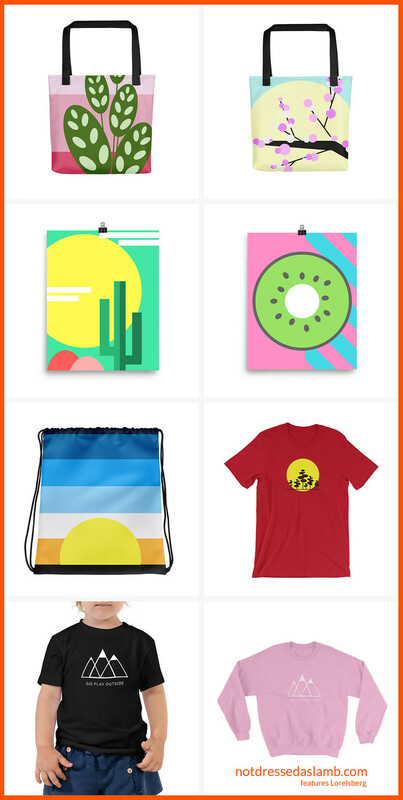 WHAT THEY SELL: Graphic, colourful designs inspired by nature on t-shirts (kids and adults), posters, tote bags and drawstrings bags. Pretty much all the designs are available on all the different products so there’s loads of choice. I featured my fabulous Lorelsberg tote bag (plants on pink!) back in September and it got a lot of interest – the pieces are really affordable and would make perfect Christmas gifts that are unlike any other printed products. PRICES START AT: €14.00 (of those items pictured) – ships internationally. WHAT THEY SELL: The most exquisite, sparkly rings and necklaces, many in beautiful, bright rainbow colours. Lisa is one of my close blogger friends and every time she wears one of her own pieces it just looks totally fabulous. 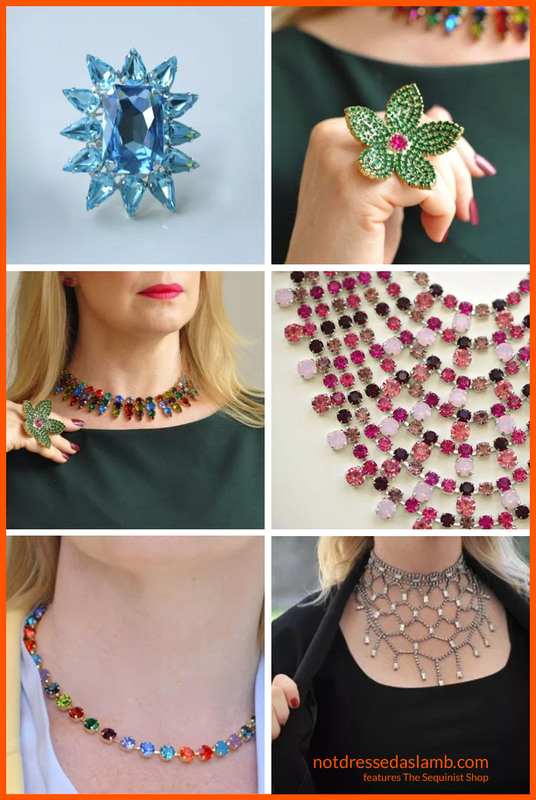 Buy a (very affordable) cocktail ring or splash out on a multi-row statement necklace. PRICES START AT: £50.00 (of those items pictured) – ships internationally. 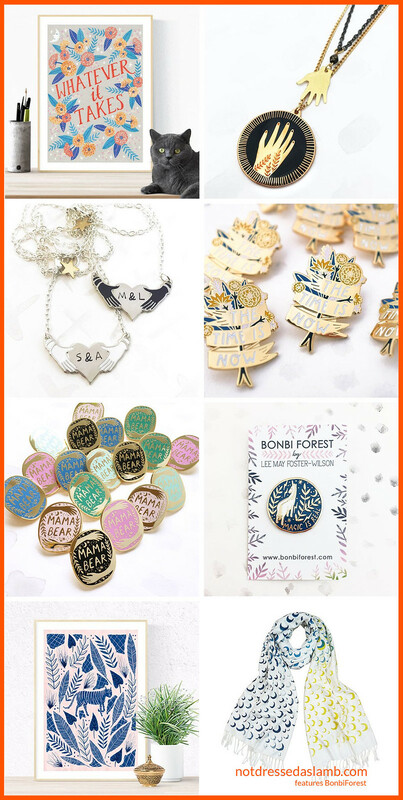 WHAT THEY SELL: Art prints, cards and hand printed scarves, colourful pin badges and jewellery with lino cut-style, whimsical designs – and they’re all made in Cornwall. For example, the gorgeous pins – from just £8.00 – would make the perfect gift to post to someone (small and lightweight!) if you won’t be seeing them in person over Christmas. WHAT THEY SELL: Something a bit different to your average Christmas present… this would make a REALLY unique gift. 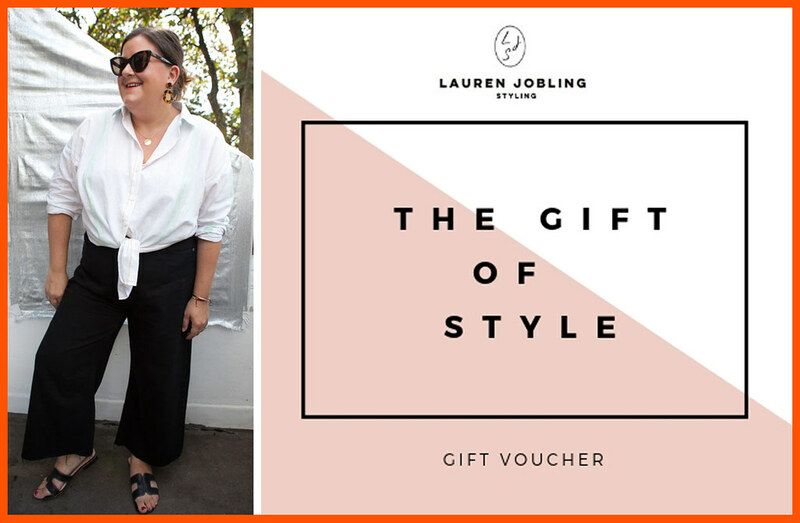 Whether you want to get someone a wardrobe detox, personal shopping service or online styling, a gift voucher for Lauren’s styling services can be used in person (London area) or online, so there’s no need for the recipient to travel to her. I’ve recommended people to Lauren before and they’ve been so happy with what she did for them, and I’ve personally worked with her in the past and she is a HOOT. 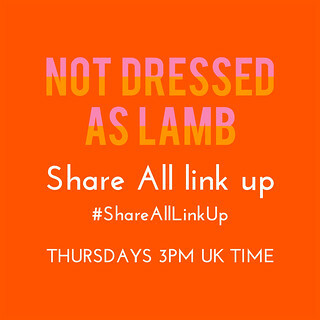 The experience alone would be so much fun, and you get to sort out your wardrobe at the same time: It’s a win win…! PRICES START AT: a £50.00 gift voucher. WHAT THEY SELL: Rew scarves are totally unique. Saving the need to “style” a scarf, a Rew scarf is basically a stunning ruffle collar fastening with a simple button or buckle. There are a ton of different colour options and as they’re not trend-led, they’ll be a classic piece for years to come (I have a mustard yellow Rew which I’ll be styling on the blog soon). 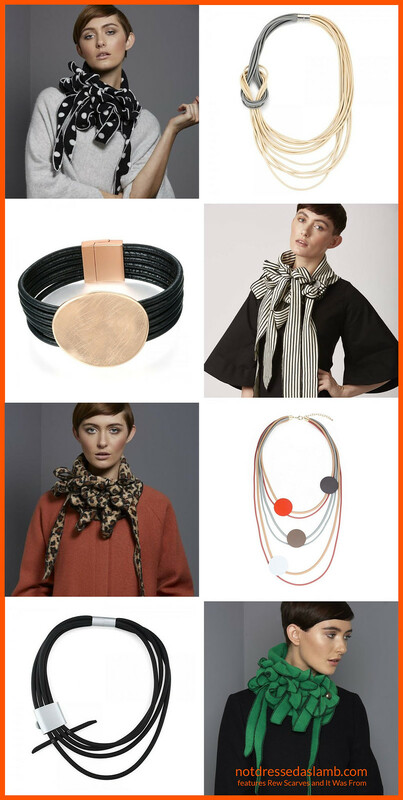 And its sister site It Was From sells equally bold jewellery and a few homewares, but it’s the necklaces and bracelets – in materials such as metal and rubber – that really catch my eye. Very affordable, too. WHAT THEY SELL: Gifts that are described as “a bear hug in a box” – a box of gifts that you personalise and assemble yourself with your choice of gifts from their range, such as mugs, books, chocolate, biscuits, accessories, etc. You can either build your own or choose one of their “ready-to-go bearhugs”. I was sent one of these earlier this year when I had my operation (thank you Vicki! ), and I loved it so much I actually then bought one for my parents to say thank you for looking after me while I recuperated (Keith couldn’t get time off work). The presentation is beautiful – I highly recommend this as a gift for parents, grandparents, neighbours – or the person that has everything. 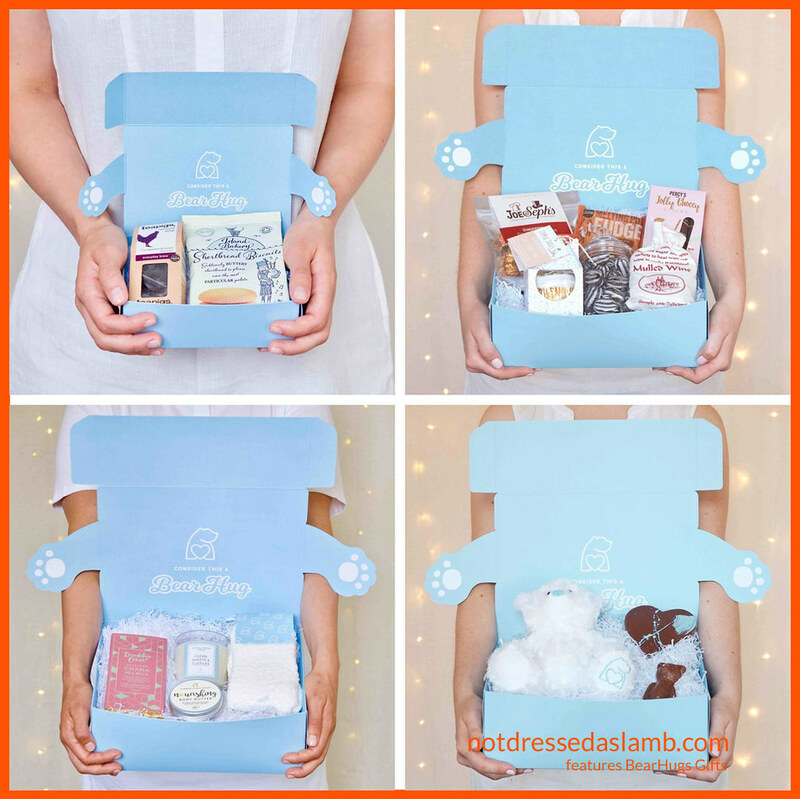 DISCOUNT: 15% off when you buy two or more gift boxes, code: MULTIPLEHUGS. Or sign up to their newsletter and get a 10% discount code. 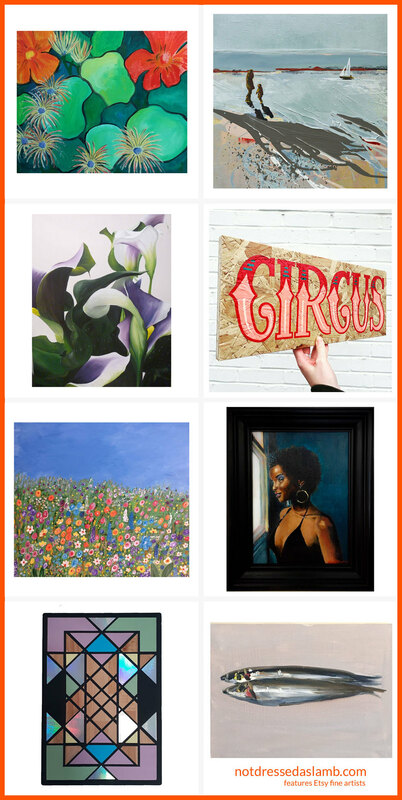 WHAT THEY SELL: Original artworks – I’ve featured not just one artist but one painting from eight different artists (and I’ve tried to cover all tastes, not just my own). As art is such a personal thing I’d recommend only buying something for someone you know REALLY well, or you could drop hints about a piece that you love as a gift for yourself. I haven’t chosen anything particularly “cheap” – the artworks here cost from £60.00 to £395.00 – but I personally think that if you find something you fall in love with, it’s worth every penny (you will treasure it forever). There’s nothing better than hanging original art in your home, especially when you can see the brushstrokes… it’s a feeling you just can’t get from a print. These are some really fun options. I love how unique these are. Ah this is giving me all kinds of ideas now for Christmas! Amazing round-up list and certainly something for everyone! Sarah I’m super pleased you thought so! thank you – happy indie shopping…! Amen to that. Very nice. Thanks for hosting and I hope that you have a wonderful week. Just bought some prints from Bobbi Forest- thanks so much for introducing me to them! I love the Rew scarves. I’ve been doing my shopping today and went to indy shops. I love the fact that you’re not only helping local businesses, but you’re getting gifts that are more unique. Who wants to look the same as everyone else? These gifts are unique and personal which is what I like. A person that receives any of these items would know that the gift giver really knows what they like. This is an excellent list Catherine, I only know two! I’ve pinned this post for Xmas and birthdays inspo. The bear hug is going to my Great Aunt in Sydney….just because I know she’ll love it. I love that trinket tray and pretty much everything on the site but first I really must buy myself a pair of Toolally earrings! Oh she’ll love the bearhug, MT!! My mum and dad absolutely loved theirs when they received it… she still goes on about the bearhug gift nearly a year later!!!! I’m glad I’m not the only one that gets tired of the buying part of the holidays. I always hate to express it though because I feel like such a scrooge….. But supporting small business is the best thing. In fact, that’s why we are going out on Saturday, because it’s Small business Saturday!! I couldn’t have said it better on your shopping sentiments. I really appreciate the Indie selection you’ve provided. I’m so glad, Kim – thank you!! 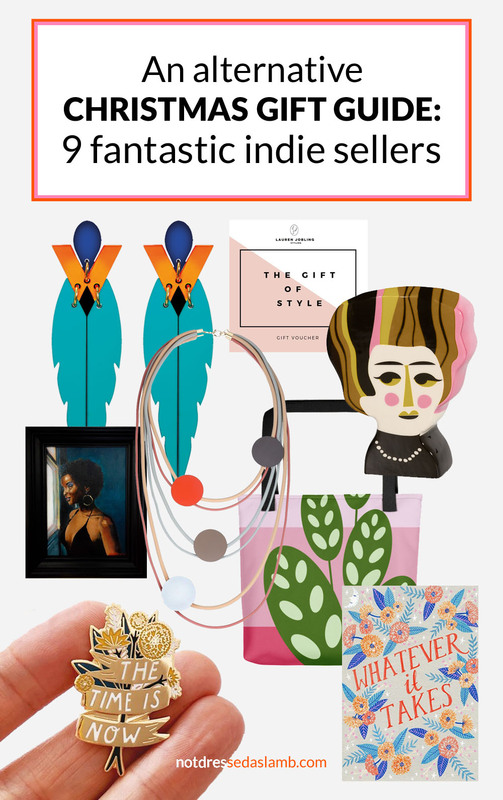 Always love to see gift guides for indie shops. I’ve been a big fan of Rew scarves for a while. I’ve lost myself completely in the paintings on Etsy, wow! I hadn’t explored there much before. Thank you for that tip! I love Rew scarves too; they really are the perfect unique and practical stylish gift for any woman. Thank you so much for the feature on my wee shop; I wish more people wore sparkle on a daily basis 🙂 It makes the world better. Another independent brand I love and can’t get enough of is Helen Moore. https://helenmoore.com/ I want every thing from the wrist warmers to the hats to the bags. The scarves are show stoppers too. I hope this is a yearly feature you do; it is so refreshing to see something besides people pushing all the big brands’ fast fashion wares! I knew you’d love the paintings, Lisa!! We’re both fine art lovers, I know…! And it was my pleasure to feature your shop, I hope more people get to see it. Thank you Maria – I would agree I seem to find all the unusual and interesting things (much to my wallet’s dismay)…!! Thank you for finding those fab unique sellers. I try to support small retailers via my blog so I will be sure to check them out. My goodness what a inspiration! (For myself ahum) Those earrings are amazing and I have seen a green ring in Lisa s shop that had my name on it! Fabulous pieces!